Do you want to bulk edit the photos on your WordPress site? Sometimes you may need to modify multiple images to save your time from doing it one by one. In this tutorial, we will share how to select and edit multiple images in WordPress. The default WordPress image gallery doesn’t allow you to edit multiple photos. The best way to display your photos is to create an image gallery on your site. 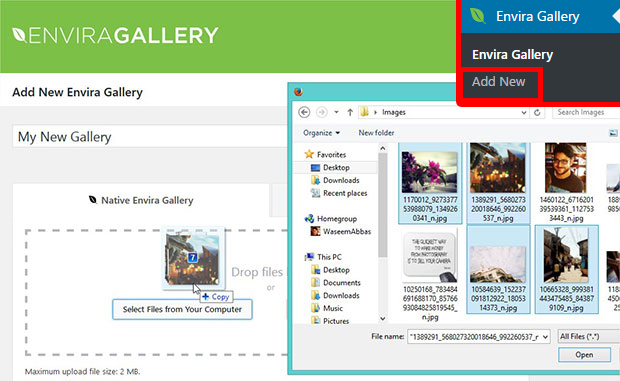 We recommend you to use Envira Gallery plugin as it lets you edit multiple images without any hassle and comes with tons of other features. To learn more about the plugin installation, you should check out this guide on how to install Envira. 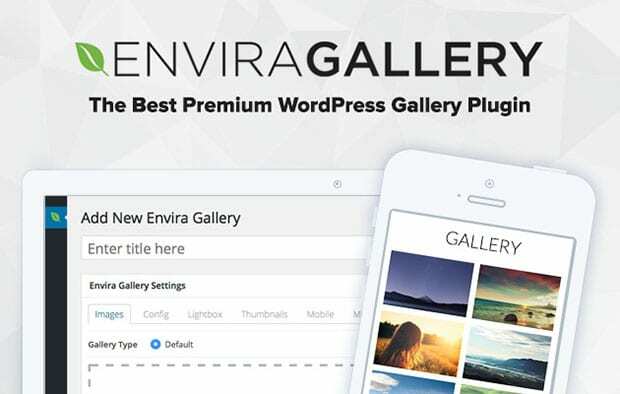 Once you have installed the plugin successfully, simply go to Envira Gallery » Add New from your WordPress admin backend. Go ahead and enter the title for this new gallery. You need to drop the images in the Native Envira Gallery section. You should check out this guide on how to create an image gallery with thumbnails in WordPress for more gallery settings. After adding the photos in the gallery, you should scroll down to Images tab and simply click on the photos one by one that you want to select. Upon selecting the images, you should click on the Edit button. 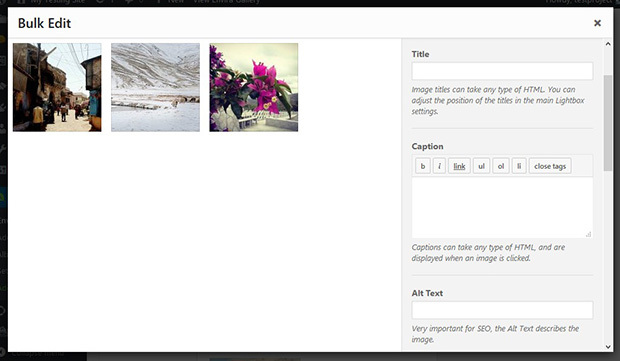 It will open up the images in the WordPress lightbox, so you can add the title, caption, alt text, URL, and more. You need to click on the Save Metadata button to save your changes for the multiple photos. 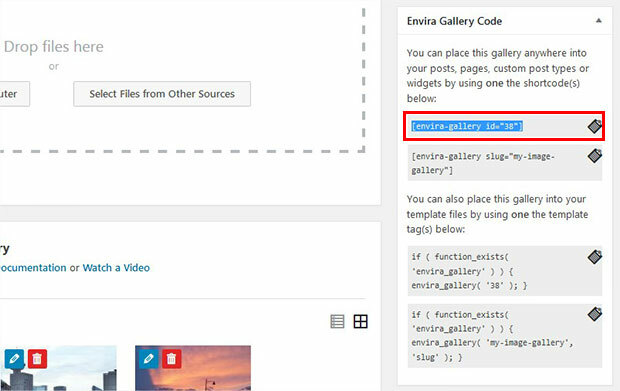 Now hit the Publish button on the right side of your screen, and copy the shortcode from the Envira Gallery Code widget. You can display this image gallery in your WordPress pages and posts. Go to Pages/Posts » Add New or edit an existing page/post. Next, you should paste the shortcode in the visual editor. Make sure to click on the Publish/Update button on your WordPress page/post. That’s all. We hope this tutorial has helped you to learn how to select and edit multiple images in WordPress. You may also want to check out our guide on how to easily edit images in WordPress. In case, your WordPress images are loading slow, you should check out this ultimate guide to boost speed and performance of your site.